I have heard countless raving reviews about this epic WWII novel and was eager to get my hands on this book. It did not disappoint! A brilliantly written story of two teenagers, a blind French girl and a German boy from the notorious academy for Hitler Youth, amidst the terrors of Nazi Occupation of France. Doerr did a masterful job at imagining what each of the characters were feeling during this horrific time in history. It was suspenseful, captivating, intriguing, and helped me understand more about the history behind WWII, specifically in France and Germany. Click HERE to check this book out on Amazon! 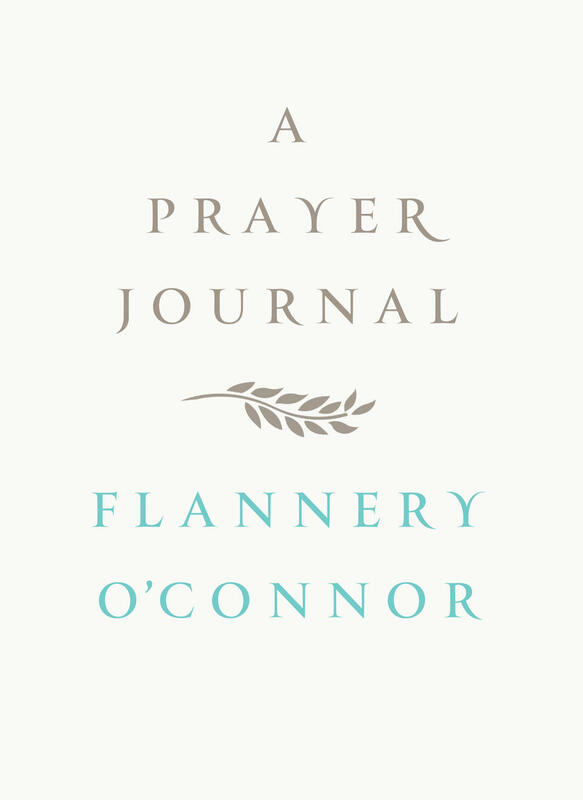 A quick, forty-page look into the prayer life of O'Connor in the years prior to writing her first novel. Her honest prayers, reflective of her Roman Catholic upbringing, are a breath of fresh air. She shares her struggles, her desire to be a good author, and her love for God in these written prayers that offer a glimpse into the life of a woman who would become a highly-esteemed American novelist and essayist. 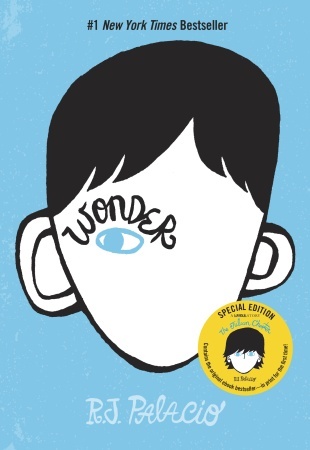 A wonder of a book (pun intended). I absolutely loved every page. August Pullman was born with a genetic condition that caused severe facial abnormalities. He'd been homeschooled until fifth grade, when he got accepted to a NYC private school. And that's where this story begins. Palacio is creative in breaking up the book by narration from different children in the story. August's humor, resilience, and courage amidst the hardships of being a new middle-schooler (which is hard enough already!) who just wants to show everyone he is an ordinary kid. Labeled as juvenile fiction, but endearing for any age! 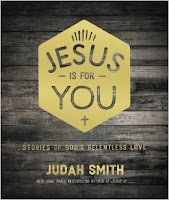 A follow up to Smith's bestseller, Jesus Is ______, this book is filled with Scripture, quotes by Smith, and short stories from various Christians of their experience with Jesus' relentless love for them. The book is artfully done with beautiful photographs as the background for the majority of pages. It is a quick read that does not have any deep theological doctrines or points, but rather camps out at the basic (but eternally important) reminder of grace and love of God. I wish there was more of Smith's writing in the book, rather than just phrases on hip photographic backgrounds. I listened to a lot of his sermons as a teenager and for a year, attended the church he pastors in Seattle. He is a gifted Bible teacher and pastor, so I wish there was more depth in his portions of the books. But, at the same time, I like that he took the focus off his own writing and instead saturated the book in Bible verses and other people's testimonies. 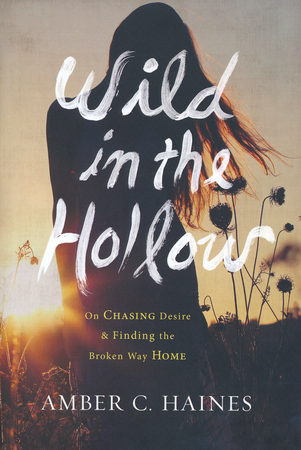 A deeply honest, vulnerable, and brave memoir about Haines' journey through brokenness towards healing and intimacy with God. She writes in her own unique style of metaphorical prose that reads like poetry more than narrative. It's a beautiful memoir and I admire Amber for not trying to wrap her testimony up with a bow, but rather, let God's redemption be seen through her own brokenness. Though the poetic memoir was engaging, it was a bit hard to fully understand what she was saying at a few points because the language was so metaphorical. And some parts of the memoir were difficult to follow because she'd return to talking about a season of life that she'd already talked about in previous chapters and moved on from. It seemed a bit circular and hard to follow at times, but overall did not detract from her message. Reverend John Ames is an elderly man with a deteriorating heart condition when he decides to write his “begats” to his young son. He recounts family history, most notably the tension between his father (a pacifist pastor) and his father’s father (a charismatic abolitionist pastor who was known for “preaching people into the Civil War”). Alongside the family history, John Ames writes about his strained relationship with his namesake, his god-son John Ames Boughton, son of his best friend and fellow pastor. Gilead truly reads like a letter from a father to his son. I had to remind myself that the reverend was a fictional character because the author did such a great job writing from the perspective of an elderly man who dedicated his life to God by serving his church. He is an endearing man who was humble in his own shortcomings, notably bitterness and suspicion of his god-son’s motives for coming back to their town after ignoring his family for so long. It was a bit of a challenge at first to get used to reading a book without chapters, but this made it more like a letter, and therefore made sense that the author chose to write the novel this way. All in all, a wonderful book that reads a bit slow, but is worth the time it takes to savor the wisdom, compassion, and humility of Reverend John Ames. A witty satirical collection of letters from a powerful devil (Screwtape) to his novice nephew (Wormwood) who is working on his first "patient", a new Christian man. Screwtape instructs Wormwood how he should capture the patient for damnation, away from "the Enemy" (God). He orders the use of a variety of methods such as distracting the man from prayer, repentance, and drawing near to God; shifting the man's focus to lust, pride, materialism, gluttony, self-righteousness, and geocentricism; and infiltrating doubt and skepticism about God. There aren't enough words to say how brilliant I believe C.S. Lewis to be, and The Screwtape Letters is no exception to showcasing the magic behind his words. 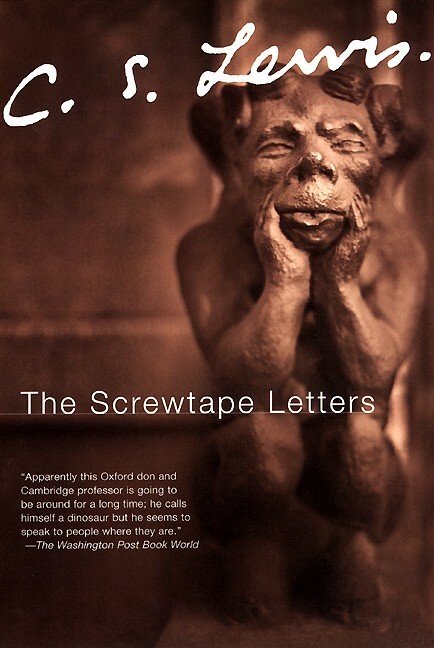 The letters flow between convicting (I realized a lot of distractions that I was allowing in my own life, for example), comical (Screwtape's sarcasm and satire of humans was pretty witty), and thought-provoking (much like all his other books). It is a gem and very worth the read! I chose this book for this month's #Collaboreads literary classic. See my post HERE. This book is an indispensable resource for all married couples, and now that there are versions that focus on love languages for singles, children, and teens, it really is equally important for anyone and everyone that desires to learn more about their own love languages and those of the ones they love. 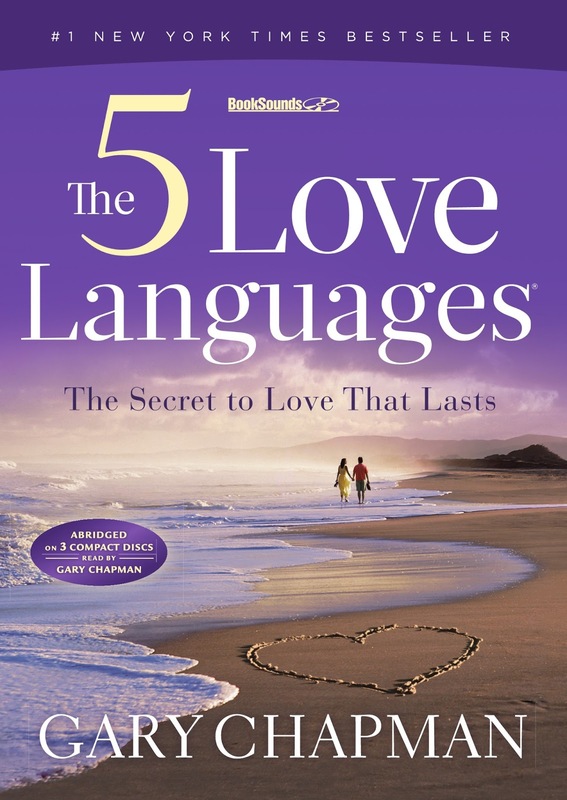 Greg and I used the general principles of this book while dating and used online resources to find out more about each other's love languages. We finally got around to reading it the past few months and it has brought up awesome conversations about how we have been doing in loving one another in specific ways we receive best. 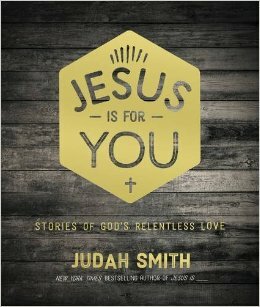 I cannot say enough about how this book has blessed our relationship from early on in our dating season until now in our newlywed season. Our love languages are very different from each other and we were trying to love each other in ways we each received love and then wondered why it seemed the other person didn't feel loved and respected with certain things we were trying to do. Once we explored the ways we each feel loved, then we were able to be more intuitional with loving one another. WHAT DID YOU READ IN FEBRUARY? LET ME KNOW IF YOU HAVE ANY RECOMMENDATIONS TO ADD TO MY TO-READ STACK! * Disclosure: Any Amazon purchases made through using the Amazon links in this post will give Beautiful Hope Blog a small compensation. Hey there! Came over from the Peony Project. 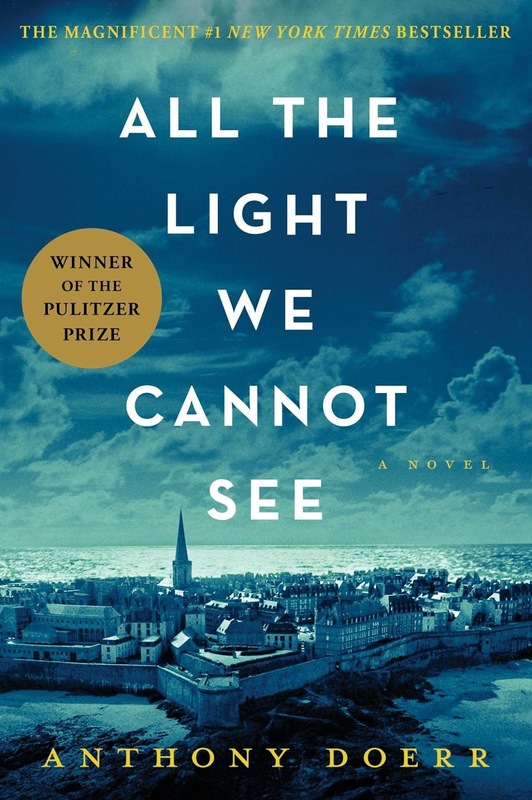 I love reading and several of the ones on your list I loved (all the light we cannot see and wonder). I read Me before You in February and it was fabulous. I couldn't put it down. Happy reading! Hi Leighann! I really want to read Me Before You before I see it on the big screen! I have heard a lot of great reviews! Ok, so I failed to get into All the Light twice. I hate myself for that fact and want to try again, please encourage me that it's worth it. PLEASE. Have you read Gold by Chris Cleave? If not, you need to. 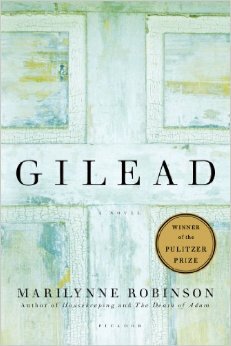 The pace and plot and richness of the novel is remarkable, but also, convicting. Oooh, NO, I haven't heard to Gold! I will have to look into it!! Was there something about All The Light that turned you off to the book? I think it starts kinda slow but picks up pretty quick. I really liked having different people's perspectives on what's going on and the time changes (though I had to pay attention to know if it was the present time or the past). And I love that it showed what life was like for Germany's youth during such a tragic and horrific period in history. I love your blog, Elle. I look forward to reading more.